Instantly fill your home with the sensual sandalwood and holiday memories with this Timothy of St Louis, France, Bois Sublime room spray. Timothy Gallant has been selling fine fragrances for over 25 years, and he created his Home Fragrance Collection while he had a bijoux boutique on l'isle de Saint Louis, Paris in 1985. 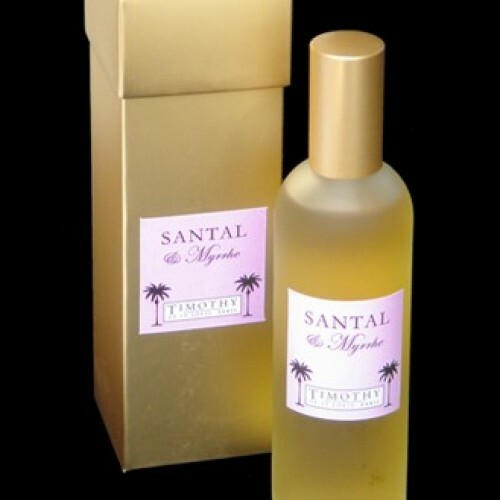 Fragrance: Santal et Myrrhe - rich sandalwood (sophistication, faraway travels, warmth). 100mil glass bottle, boxed.